Home / BUSINESS / COMPANIES / Energy Ministry OKs offshore gas production from XV Midia block in the Black Sea. Will BSOG start works? The Energy Ministry has issued the authorization document for the offshore works required to start the gas production from XV Midia block, operated by Black Sea Oil & Gas (BSOG), according to a communiqué issued by the ministry on Friday. “This act of authorization is extremely important, not only for the project’s owner, but also for the Romanian energy sector as a whole. The act is a premiere in Romania’s offshore oil industry after 1989. The issue of Black Sea natural gas reserves was long discussed and designed as an opportunity for Romania to contribute to Europe’s energy security and to become a regional hub. 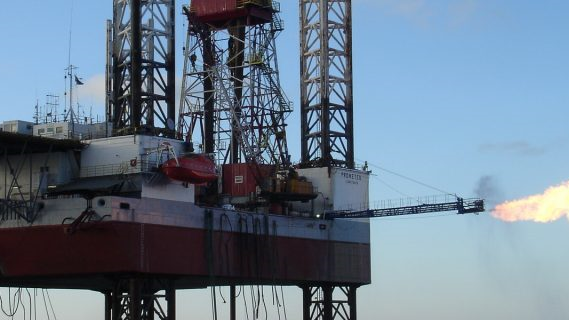 This act makes the transition from all these debates to effective action and is also a sign of confidence that we can, together with the companies that have invested in exploration in the Black Sea, to capitalize on our energy resources,” said Energy Minister Anton Anton, quoted by the release. 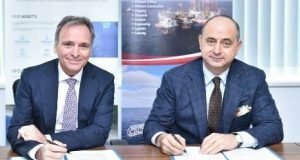 On January 14, the Competent Authority for Regulation of Offshore Oil Operations in the Black Sea (ACROPO) completed the assessment of the documentation related to the Midia block development project, a project conducted by the Black Sea Oil & Gas operator, and has agreed to the project to go further, a press release from the institution reads. The Midia Gas Development project consists of drilling five production wells (a submarine well at Doina and four production wells at Ana), a submarine production equipment in the Doina block, which will be connected via a 18-kilometer pipeline to the production platform monitored and operated from the shore, located on the Ana block. A 126 km submarine pipeline will ensure gas transportation from the Ana platform to the shore, to the new gas treatment plant, the release also reads. In May 2017, Black Sea Oil & Gas said it aims to start production at two gas fields off Romania by 2019, becoming the first company to tap the country’s vast offshore resources. “We’re hopeful for the first gas in 2019,” Chief Executive Mark Beacom said at the time in an interview for the Reuters Central & Eastern Europe Investment Summit. 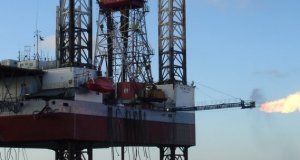 BSOG has discovered in the Romanian shelf of the Black Sea between 10 and 20 billion cubic meters of natural gas and the investments aiming to start production in 2019 could reach USD 500 million, Mark Beacom, General Manager, said in February 2017. He estimated the project will produce about 10% of Romania’s consumption for five years.